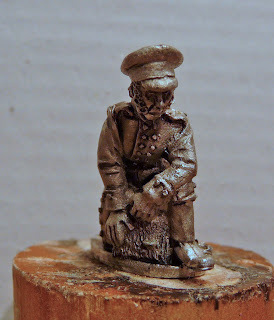 wargaming in 28 mm and sometimes smaller: What should I do with these beautiful figures? 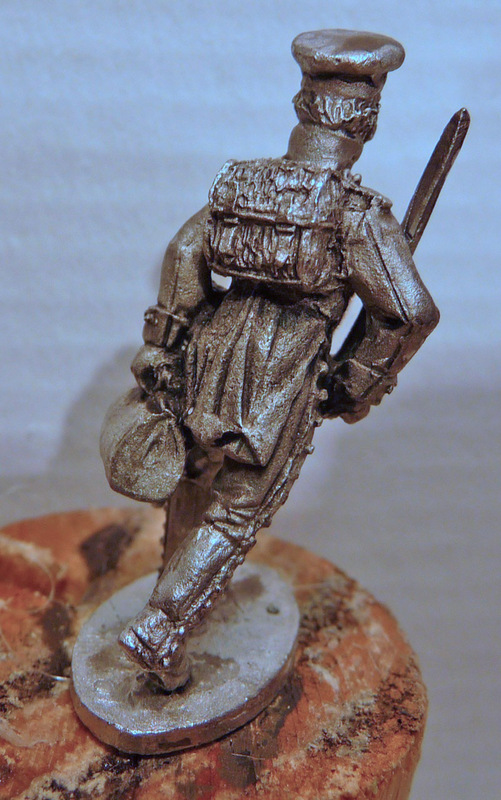 I recently received these Prussian Medic figures from Schrumpfkopf in Germany. He had commissioned these figures and had a limited number cast. I was lucky to get a set. More about them and a uniform guide on his blog. 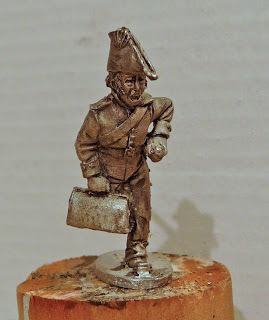 These are lovely figures, but I just do not know how to incorporate them into my Prussian Army. They are quite compatible with Calpe. 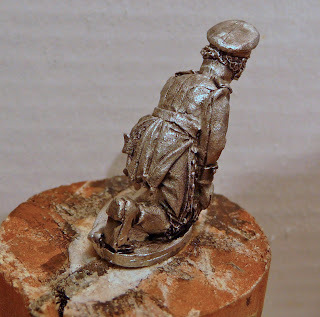 I am not really sure if I want to construct little battlefield medical dioramas or use them as casualty markers (which is probably my preference). Any thoughts? Lovely figures, you're lucky to get some. 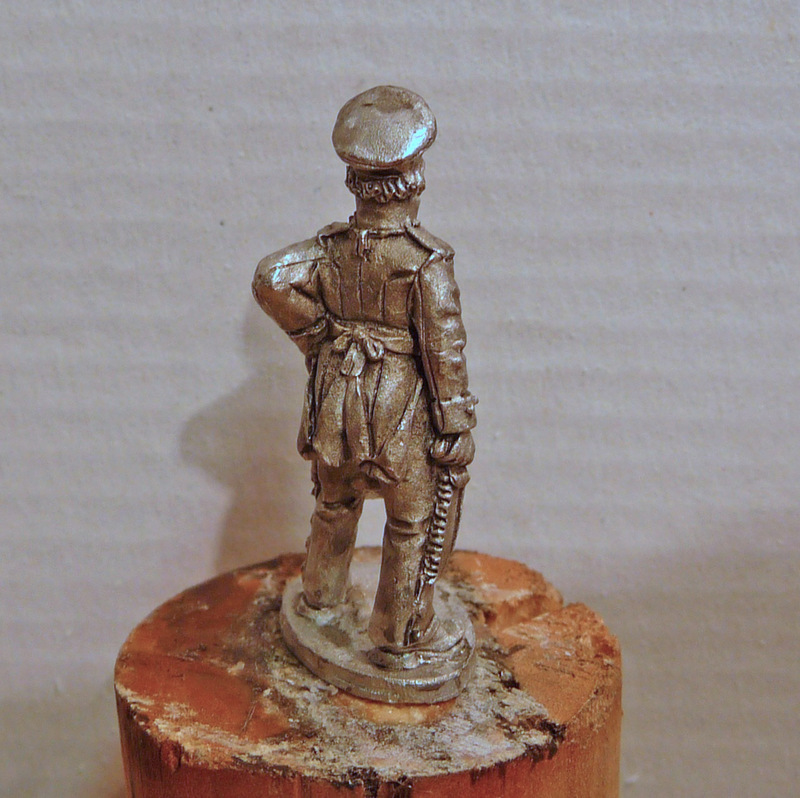 Casualty markers would be a great use for them, or just paint them for the pleasure of it!! Beautiful figures. 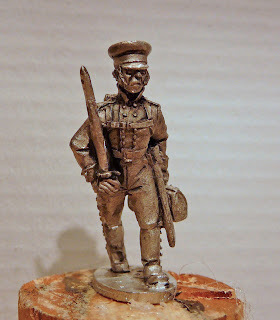 Maybe some could be tending to casualties around edges of command bases? Well I will use the walking and runnig minis as part of some regimental stand. The other two will be part of a command base. 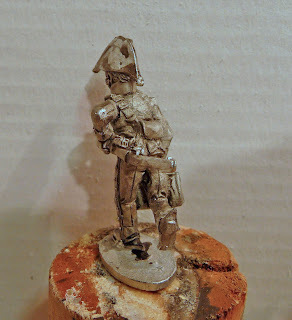 Either von Yorck (once I place my next order with Calpe) or Blücher (when Calpe releases him). 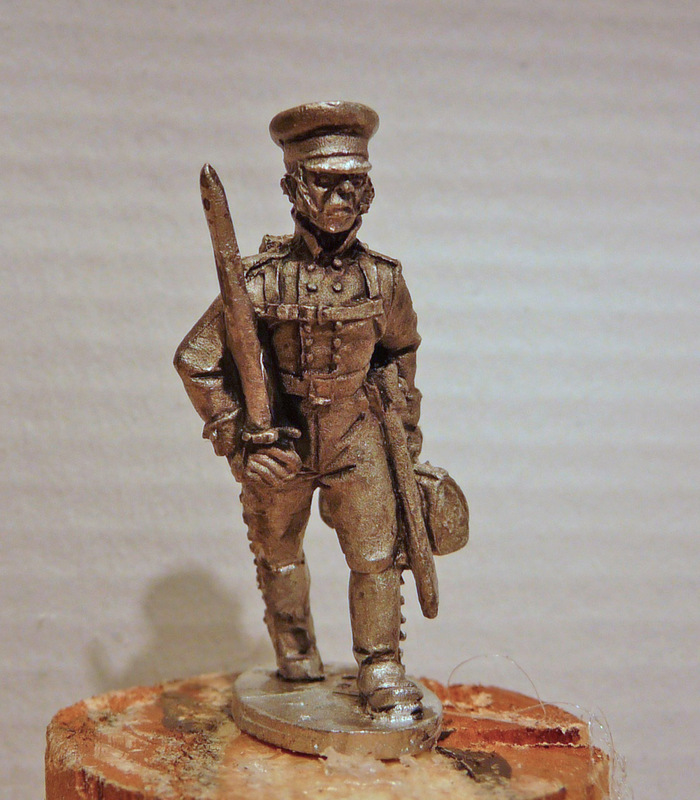 The idea is to have small first aid post at the edge of the base with woonded being brought in. Maybe I should state what I initially planned to use them for. The marching Gent i'm using with a "march-attack" formation I believe he'll blend in well with both Calpe and Perry. The kneeling and running Miniatures were intended for bigger Brigade casualty counters that look scenic enough to blend into the battlefield. 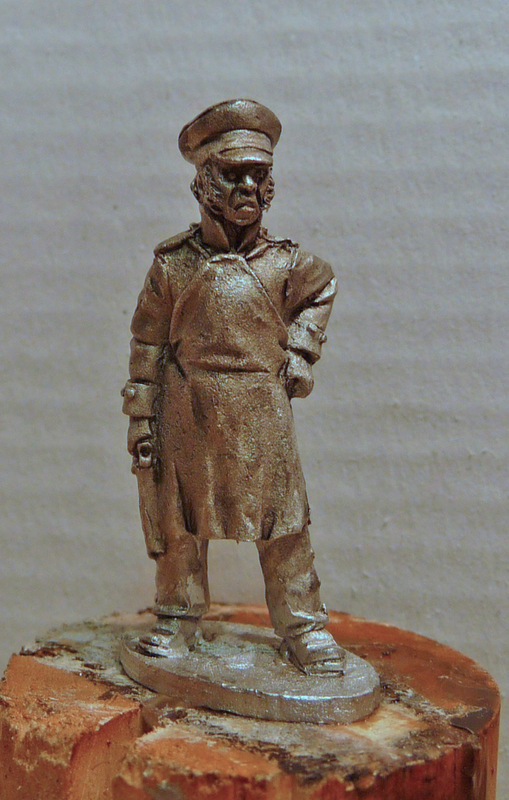 The figure with the apron hopefully makes for a good addition to any scenic base like command- or artillery bases. I am really looking forward to what you gonna do with them. Just sit and admire them, they look great as they are!! Apologies I've not commented on your blog for a while, it seems you'd been deleted from my blogroll.